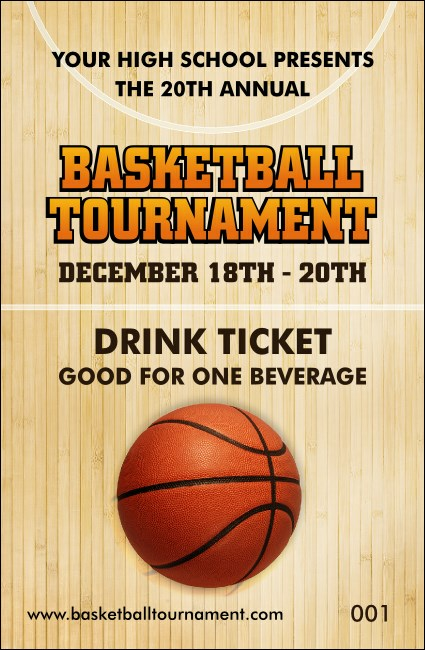 Let your guests breakaway and head to the bar for a refreshing drink when you give them Basketball Court Drink Tickets for your next game. These all-star tickets feature a gleaming, wooden basketball court background with a picture of a textured basketball in the center. Catch the rebound with TicketPrinting.com.